Almost all travellers to Nepal have to stop in the capital city, Kathmandu, as it is home to the only airport in the country. And while the city’s cultural sites are worth a look, it’s also easy to get out into nature from the dusty metropolis and do some worthwhile day and multi-day hikes without going far from the Kathmandu Valley. 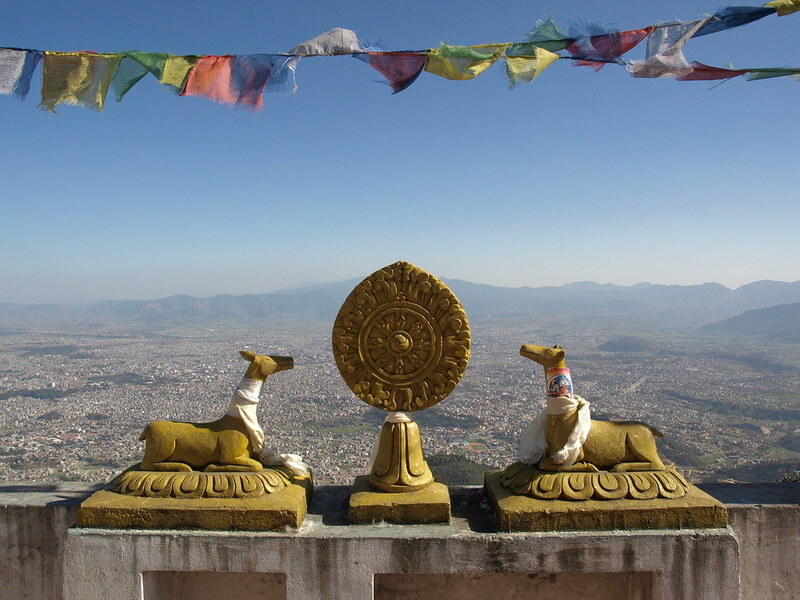 Kathmandu city is ringed by hills (high enough that they’d be called mountains themselves almost anywhere else in the world!) These make for good day hikes, especially as some are located within national parks. Travelling just outside the rim of the Kathmandu Valley also opens up many gentle-to-moderate hiking and trekking opportunities. While you won’t be trekking right in the mountains, there will still be excellent mountain views from many of these spots. The Kathmandu Valley has a warm temperature and experiences the monsoon between June and August. During the monsoon, mountain views will be limited and trails muddy, so this is not a recommended time of year to go. The spring and the autumn bring good weather and still tend to be quite hot. The winter is mild in and around Kathmandu, although lack of heating can make accommodation feel colder than it should. Nevertheless, the winter is a good time to trek, as the mountain views are usually at their best. Some of the towns around Kathmandu that can be trekked to in one to three days have good accommodation. Unless on a strict budget, it is not necessary to stay in basic trekkers’ lodges like out in the mountains. Phulchoki (2791 metres) is the highest hill in the Kathmandu Valley, and lies to the south of the city. Hiking to the top is a manageable day trip, accessed from the village of Godavari. There’s a clear path up, and on a clear day, sweeping views north to the snow-capped Himalaya. Shivapuri (2732 metres) is only a little shorter than Phulchoki, and sits at the polar opposite side of the valley, to the north. A day hike here is particularly enjoyable, as the peak sits within the Shivapuri Nagarjun National Park. On the way to the summit, pass a Buddhist monastery with thousands of colourful prayer flags, and the source of the holy Bagmati River that runs (rather forlornly) through the centre of Kathmandu. Some slightly longer treks can also be taken through the Shivapuri National Park, such as two-three day treks that continue on to Chisapani and Nagarkot. The trailhead for this easy and culturally rich day hike is just past the large Shiva statue on the hill as the highway leaves the Kathmandu Valley on the eastern side. 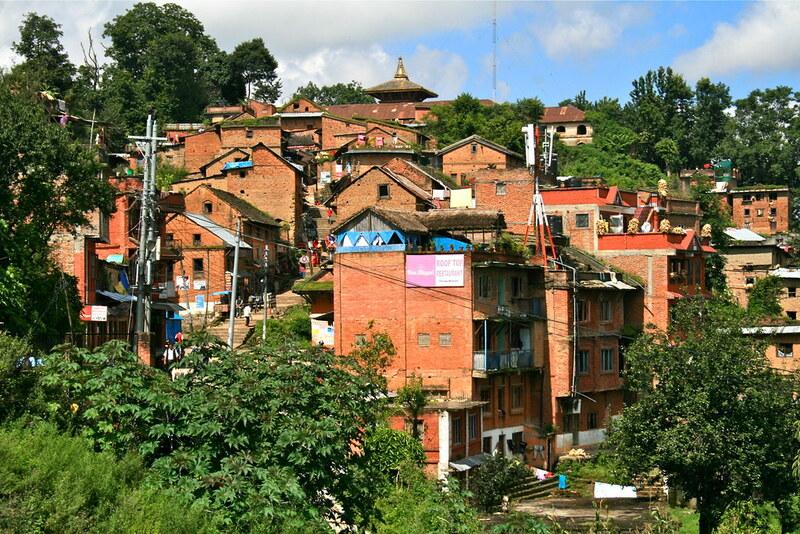 The roughly 10-kilometre trek passes above the town of Banepa, through ethnic Tamang villages, terraced farmland and light forests, before descending to Panauti. This ethnic Newar town is an attraction in itself, as it contains some of Nepal’s oldest temples, and is one of the richest places to experience Newari culture outside of Kathmandu itself. There are some small guesthouses, as well as a charming homestay network run by local women. The hike can also be done in reverse, starting at Panauti. There are signboards marking the beginning and ends. This three-day trek packs in some typical Nepal hill landscapes and experiences without having to go too far from Kathmandu. Start by driving from Kathmandu to Dhulikhel, a hill town just outside the valley that, on a clear day, offers sweeping views of the Himalaya. Continue on to Namo Buddha, a small town with a very important Tibetan Buddhist pilgrimage site and monastery. 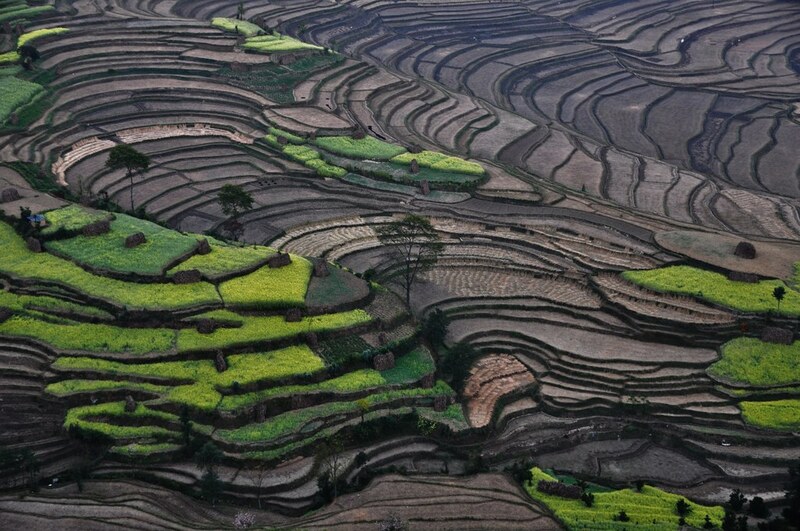 Trek onwards to Balthali through pretty terraced farmland. End at Panauti, and drive back to Kathmandu. There is a range of accommodation en route, from simple, low-budget places to very comfortable resorts. 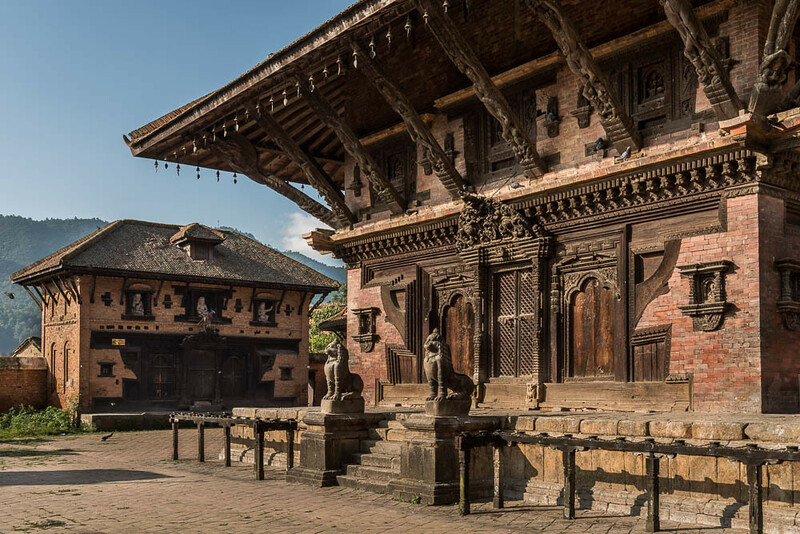 The old Newari city of Bhaktapur is a must-visit site in the Kathmandu Valley, and while most visitors only go for a day trip from Kathmandu, there are some good hikes in the area. Hiking from Bhaktapur to Nagarkot via Changu Narayan (or vice versa) is a good option. Changu Narayan is a couple of hours’ hike from Bhaktapur, and is an important little temple town. The pagoda-style temple there is said to be the oldest in Nepal. From Changu Narayan, hike up to Nagarkot, a popular lookout town for sunrises and sunsets over the Himalaya. While the hike can be done in a day, it makes sense to spend the night before in Bhaktapur, and the night of the hike in Nagarkot. All of our hiking in Nepal trips begin and end in Kathmandu, why not explore the region before you head home to normality.